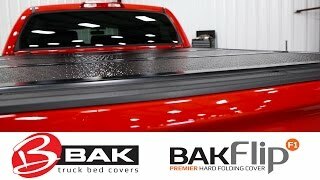 Come inside the Total Truck Centers™ garage as we take you through the installation of some of today’s hottest truck accessories In this episode, we welcome Chris Fleeman from BAK Industries and he helps us install their BAKFlip F1 on a 2015 Toyota Tundra. The EvoHT2 from Edge Products is a premium handheld performance tuner that gives your GM gas or diesel vehicle the most power at the best price—with the industry-leading service and quality that you’ve come to expect from Edge Products. The 26040 features a color screen, upgraded processor, and numerous new features, literally putting the power to unlock the hidden potential of your GM truck’s or SUV’s engine and fuel economy in the palm of your hand. Performance programmer for GM gas and diesel trucks/SUVs. Handheld device with color screen and upgraded processor. Not available for sale or use on pollution-controlled vehicles. 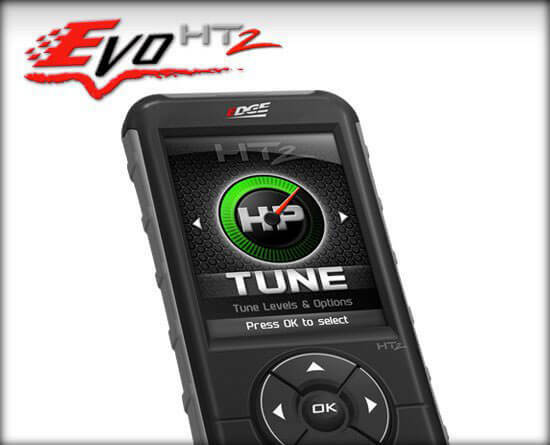 <p>The EvoHT2 from Edge Products is a premium handheld performance tuner that gives your GM gas or diesel vehicle the most power at the best price—with the industry-leading service and quality that you’ve come to expect from Edge Products. Used for mounting a winch, snow plow, or a variety of other accessories to the front of your truck, CURT front-mount hitches bolt to the underside of your truck, van, or SUV frame just like a rear-mount hitch. Once in place, they provide a receiver tube able to accept a 2” x 2” shank. 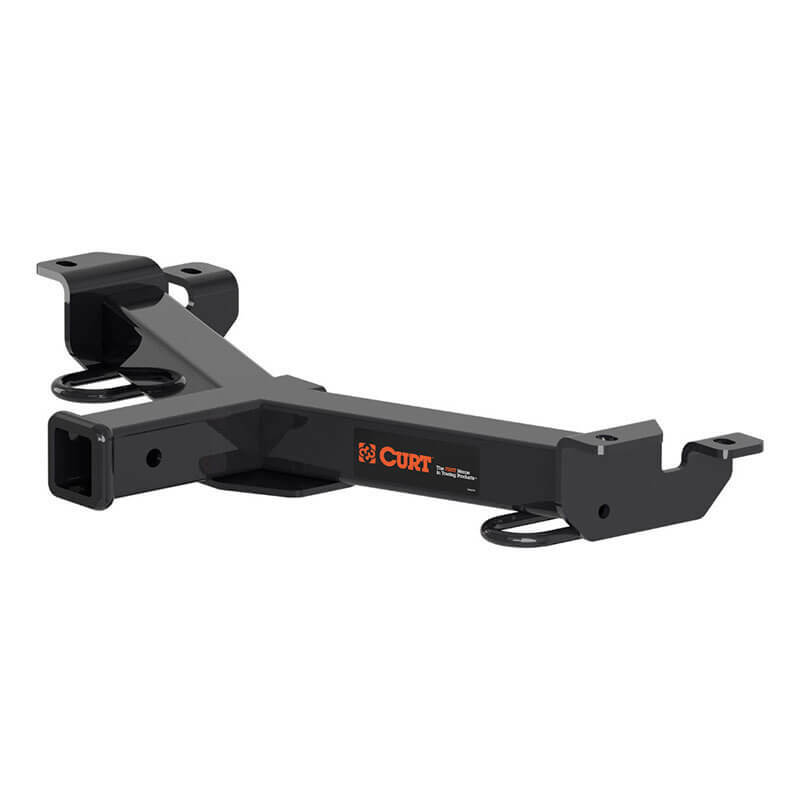 CURT’s 31082 front-mount trailer hitch for the 2017 Honda Ridgeline features a gross trailer weight capacity and tongue weight capacity of 5,000 and 500 lb., respectively It comes with all necessary hardware for a complete installation and a limited lifetime warranty (one-year warranty on finish). 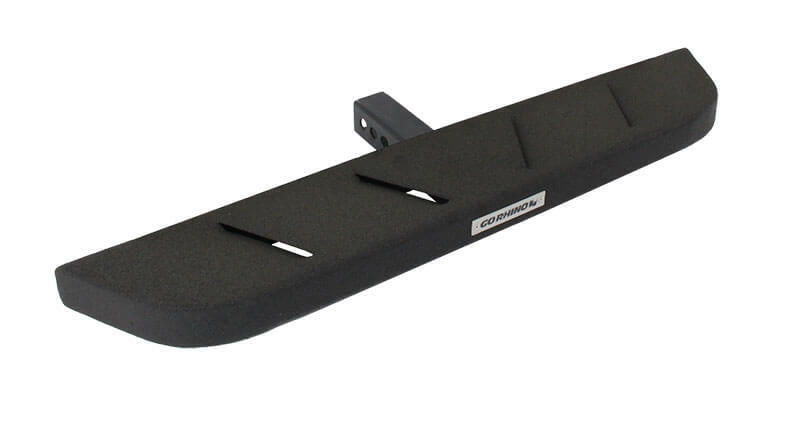 Provides a convenient attachment point for front-mount accessories (snow plow, cargo carrier, etc.). Precision welding for superior strength and fit. Defended by rust-resistant liquid-Bonderite and a durable black powdercoat. Strengthened with a forged, welded, seamless collar. Allows for easy maneuvering of a trailer into a tight spot. 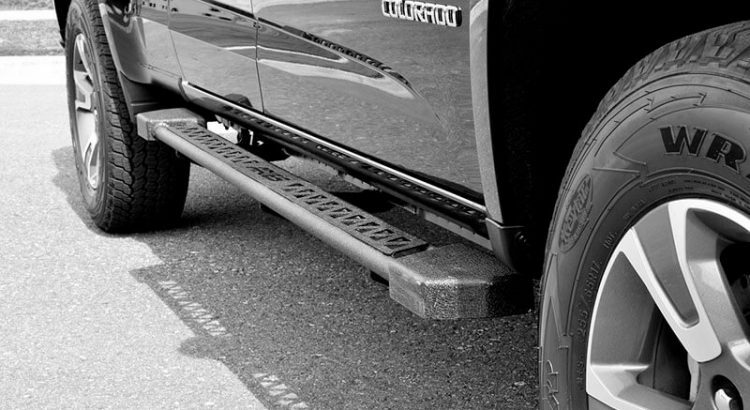 The RB10 hitch step features a raptor-style profile that complements Go Rhino’s RB10 running boards—including the series’ distinctive louvers. 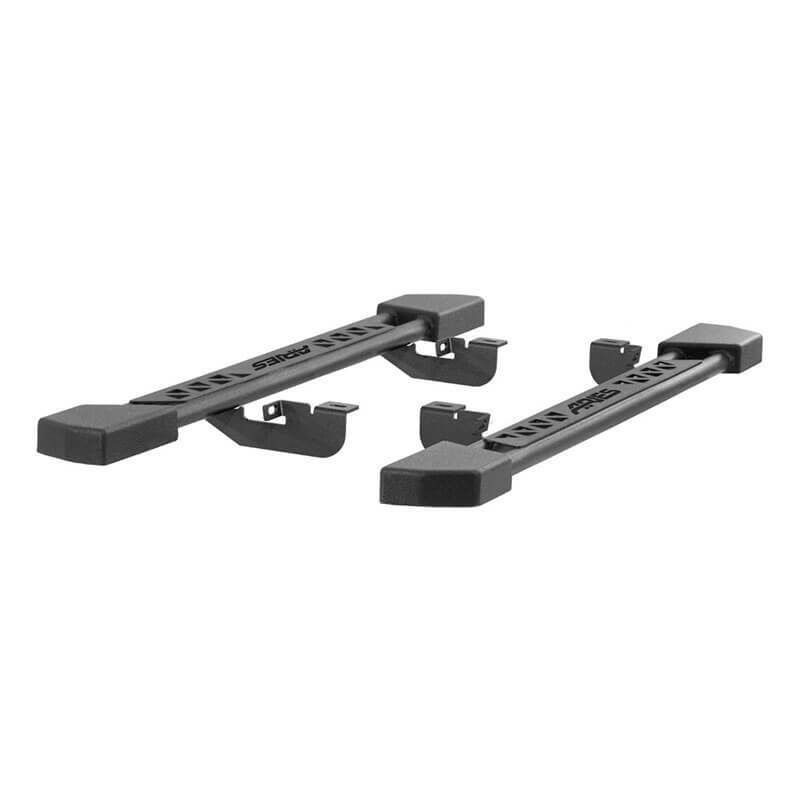 Designed to fit 2” receivers, RB10 hitch steps are constructed from 16-gauge galvanized steel and coated with a durable black-textured finish for corrosion, impact, and abrasion resistance. RB10 raptor-style design and louvers. Textured-black finish offers abrasion, corrosion, and impact resistance. 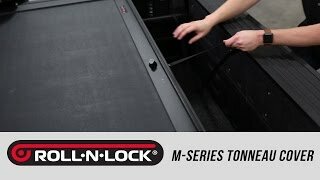 ARIES Automotive rocker steps offer more than just extra side protection. 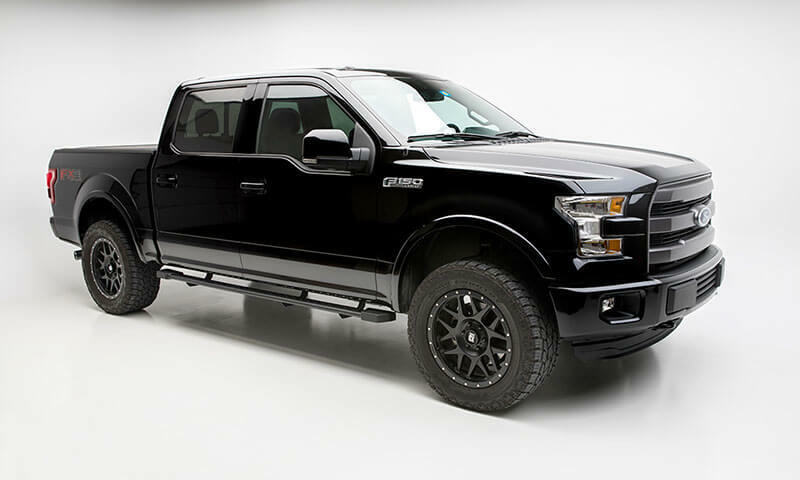 With their wide, flat profile and heavy-duty design, they offer a solid step-up option for the off-roader inside every truck owner. 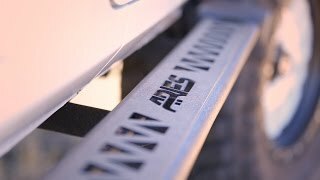 While previously available only for the Jeep Wrangler JK, ARIES rocker steps are now available for today’s most popular trucks and SUVs! 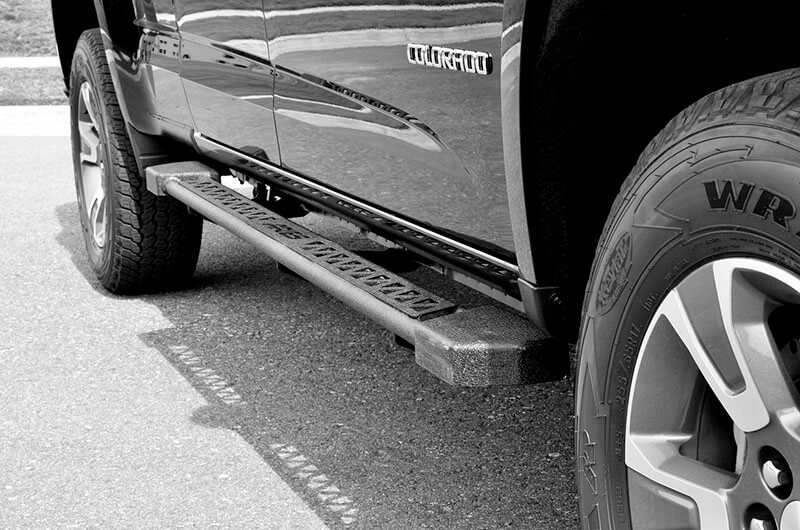 With welded-on brackets for high-and-tight fitment and a rugged textured-black powdercoat, ARIES rocker steps provide plenty of ground clearance and solid protection from the scuffs, dings, and dents that can happen anywhere, from parking lots to mountain terrain. High-strength steel provides reliable strength, and the unique double-tube design offers a solid 3” step-up surface. Double-tube layout and 3” wide top plate. Heavy-duty design for extra side protection. Flat profile increases ground clearance. Textured-black powdercoat easily hides minor scratches and grime. High-strength, all-steel construction—no plastic parts. Prewelded mounting brackets for increased rigidity and simpler installation. No-drill, vehicle-specific application for a custom fit. 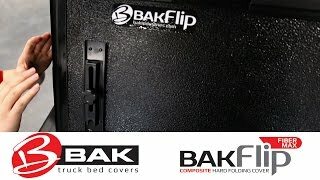 Come inside the Total Truck Centers™ garage as we take you through the installation of some of today’s hottest truck accessories In this episode, we welcome Chris Fleeman from BAK Industries and he helps us install their BAKFlip Fibermax on a 2015 Ford F-150. ARIES Automotive enjoys a well-deserved reputation for innovative and stylish products for use on or off-road. With the continued rise of Wrangler JK customization and culture, ARIES is committed to remaining at the forefront of building products that fit the needs of Jeep enthusiasts. To engage those enthusiasts, ARIES is proud to support regional events where they gather. The direct feedback ARIES receives at these events helps the company improve its products through insight into new product ideas to meet both existing and emerging needs. Look for ARIES at each of the following 2017 events! New for 2017 is the LoadLifter 7500 XL from Air Lift, offering up to 7,500 lb. of load-leveling capacity to support the largest loads on the road and a 1” increased diameter over the LoadLifter 5000. The LoadLifter 7500 XL is distinguished by its combination of capacity, adjustability (5–100 PSI), and uncompromising ride quality—making it the best choice for towing and hauling the heaviest loads with the utmost safety and comfort. Air Lift is launching the LoadLifter 7500 XL with four kits of out the gate (PN 57596 for 2011–2016 Ford F-250/-350; PN 57599 for 2017 Ford F-250/-350; PN 57538 for 2011–2017 GM 2500/3500; and PN 57595 for 2003–2017 Ram 3500), but more kits are scheduled for production. Up to 7,500 lb. of load-leveling capacity. 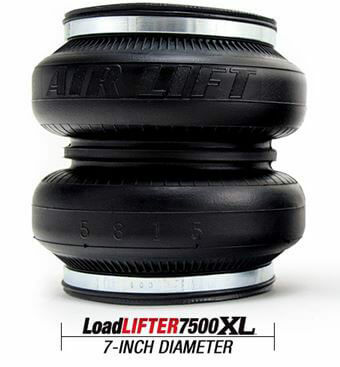 Up to 20% more air spring volume than LoadLifter 5000 air springs. Ultra high-strength, rust-proof, nylon-composite end caps are as strong as steel but weigh less. Air Lift–exclusive upper and lower roll plates protect air springs from abrasion and increase load capacity up to 10%. Most kits use existing vehicle frame holes for a bolt-on installation—no drilling required. Easy to install with illustrated manual. All kits are compatible with most 5th wheel and gooseneck hitches. 60-day, no-questions-asked, money-back guarantee and a lifetime warranty. Available in three sizes—6’ x 6’ (PN 20300), 6’ x 8’ (PN 20301), and 8’ x 12’ (PN 20302)—Cargo Restraint Systems from Bulldog Winch are heavy-duty, military-style nets designed to secure loads on pickups, flat beds, and trailers. Bulldog Winch designed these products to beat the competition at every turn, in terms of assembly working load (750 lb. vs. 350 lb. ), webbing width (2” vs. 1.5”), space between straps (4” vs. 5.25”), D-ring material (steel vs web/plastic), and hold-down strap hook material (stamped steel vs. wire). Additional features include box and cross-stitched joints for extra strength and heavy-duty cam buckle hold-down straps. The cam buckle straps (PN 20303; 2” x 60”) are also available separately. 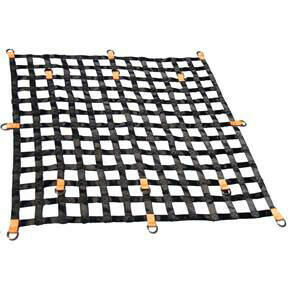 Heavy-duty, military-style nets secure your cargo. High working load, wide webbing, and top-of-the-line materials. Cam buckle straps included and available separately. <p>Available in three sizes—6’ x 6’ (PN 20300), 6’ x 8’ (PN 20301), and 8’ x 12’ (PN 20302)—Cargo Restraint Systems from Bulldog Winch are heavy-duty, military-style nets designed to secure loads on pickups, flat beds, and trailers.